Chugged full – an old southern saying that means full and/or overflowing with happiness. Chapter three starts with Bessie and Papa getting ready to leave on a business trip to Paint Rock. Papa needs to see a man about a horse…wait, no that’s wrong, he needs to see a man about doing some repair work on a house. There are several places in this chapter when fiction crosses fact but for the most part, it’s all 100% true and it’s based on my favorite story when I was a kid: Bessie dancing in her red dress in a saloon in Paint Rock. I always wished I had the courage and confidence to do something like that! Okay, so the story is true, but Christy and I did take a few liberties with the facts. 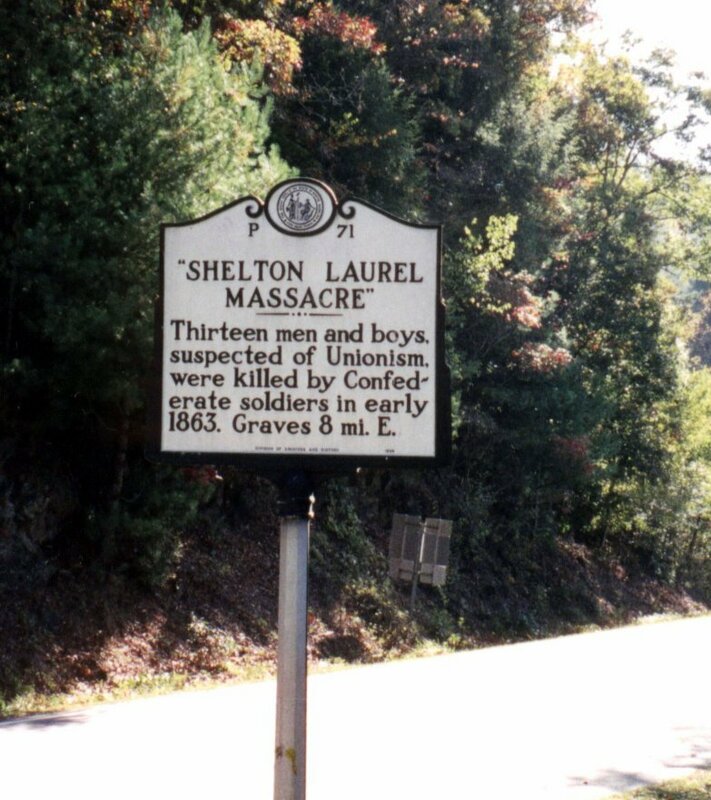 For instance, the story Papa tells Bessie about the Shelton-Laurel Massacre which is well-documented and well-known here in western North Carolina. All of that happened, there really was a Colonel J. A. Keith who lined those men and boys up and had his soldiers shoot them, and they really did leave them on the bank of the creek, some of them buried but most of them just lying on top of the ground. And the families really did come the next day and buried them. The liberties came with Bessie imagining she hears the Melungeon boogie-man. As Christy told you last week, parents were prone to threaten their children back then with an imaginary character of Melungeon descent but we have no idea if Bessie or Papa or even Mama knew of such a made up monster, much less if it played a part in their lives. We used it at this point to give Papa a reason to tell the Shelton Laurel Massacre story and of course, because that’s one of the major themes of the book; the persecution of people who are different in some way. The part about Bessie dancing at the saloon while wearing a new red dress is true but we had to use our imagination to fill in the description of the saloon. We also made up the…shall we say, ladies-of-the-evening. We have no idea if there was a player piano in the saloon, Daddy always called it just a plain piano. We do know that the saloon was in an old house on the main street that ran through Paint Rock but when we tried to find it, we had some trouble. Not much to the town of Paint Rock any more and I have a feeling there never was much–but the drive from Hot Springs was absolutely gorgeous, if a little harrowing at times! And finally, we come to Papa and Bessie and their relationship. 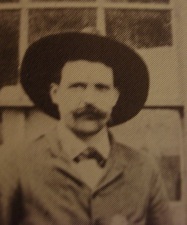 Neither of us remember our Great-great Grandpapa John but we remember Aunt Bessie talking about him. It was obvious, even as young children, she absolutely adored her Papa. And then we have the many stories Daddy’s told us. Daddy, whose real name is Raymond Earl, goes by John because as a young boy, he was always with his Grandpapa John and people started calling him “Little John.” And I just noticed, looking at that picture of him, there’s a birt of family resemblance there. So, we never really knew him, but I think we came very close with his personality from the many stories we heard. Daddy always says he was a good-natured soul, always smiling and joking, and with more than his fair share of charm–and of course, a natural born storyteller–which he passed on to Bessie and then to Daddy, thank goodness! « Whistling Woman: Fact or Fiction?